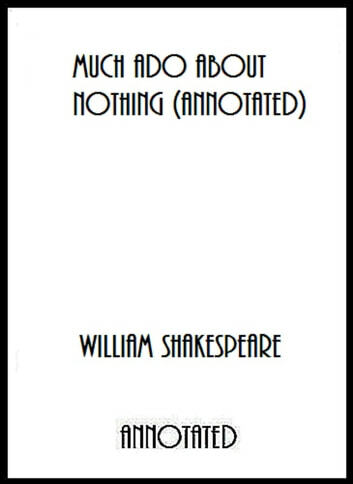 Much Ado About Nothing is a comedic work by William Shakespeare thought to have been written in 1598 and 1599, as Shakespeare was approaching the middle of his career. The play was included in the First Folio, published in 1623. Much Ado About Nothing is generally considered one of Shakespeare's best comedies, because it combines elements of robust hilarity with more serious meditations on honor, shame, and court politics. By means of "noting" (which, in Shakespeare's day, sounded the same as "nothing," and which is gossip, rumour, and overhearing), Benedick and Beatrice are tricked into confessing their love for each other, and Claudio is tricked into rejecting Hero at the altar on the erroneous belief that she has been unfaithful. At the conclsion, Benedick and Beatrice join forces to set things right, and the others join in a dance celebrating the marriages of the two couples. 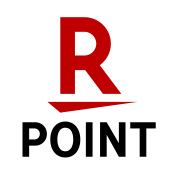 This edition has been formatted for your reader, with an active table of contents. 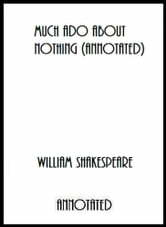 This version is also annotated, with additional information about the play and William Shakespeare, such as an overview, characters, plot, sources, date, texts, analysis, context, biographical and bibliographical information.